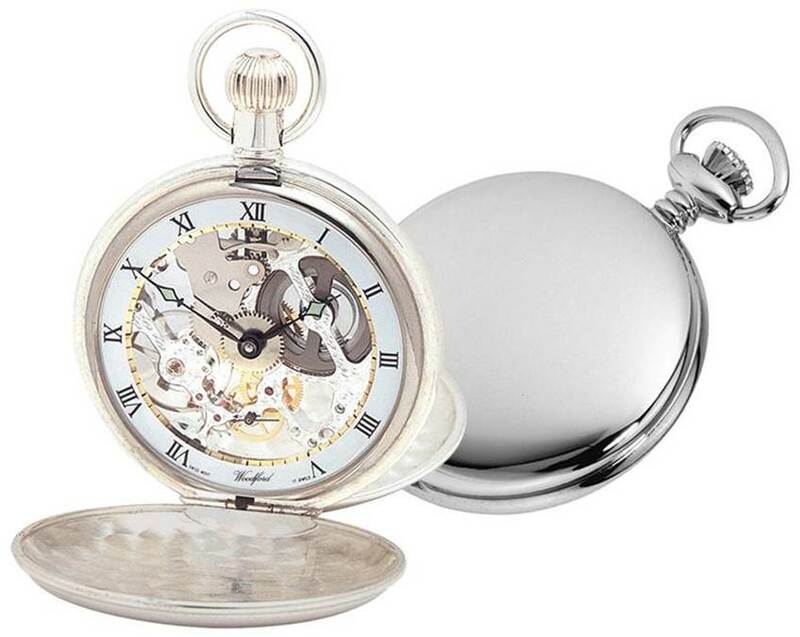 Woodford Swiss-Made Skeleton Pocket Watch, 1003, Men's Twin-Lidded Sterling Silver. An exquisite gents time piece.This Double Hunter pocket watch is made by Woodford in polished Sterling Silver and has Swiss 17 jewel movement, the front and back of the case is plain allowing room for engraving if required. The white dial has black Roman numerals and a gold edge around the visual window. The analogue hands have luminous tips and the working mechanisms can be viewed front and back of the dial.